So we’ve known that Valve was bringing the original Portal to the Nvidia Shield Android gaming handheld for quite some time. Nvidia announced it months back. Yesterday we had reported that it was finally dropping on May 12th and is going to be available in the Play Store for any and all Nvidia Shield owners to pick up for the grand price of $9.99. As many of you gamers probably already know, the game Portal and all of Valve Software’s games are built off of their Source game engine. When we talked about Portal yesterday we mentioned that with Valve software and Nvidia being able to make the Source engine compatible with Android(Shield only obviously at this point), that it would open up the door for more potential Source engine based titles from Valve to come, with the games from the Half Life series being most likely the next viable candidates. 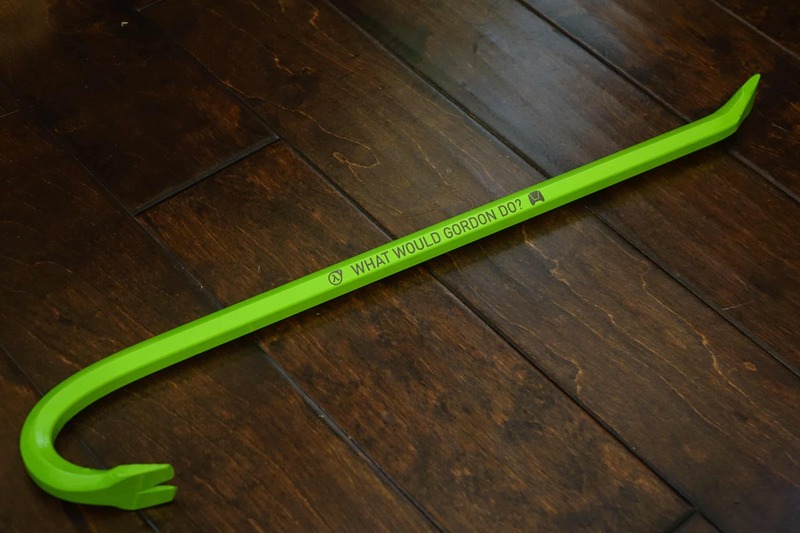 As one would have it, it looks like that could very well be the case as David Ruddock from Android Police received this package in the mail just this morning, and inside was a lime green colored crowbar that has the Half Life 2 logo and the Nvidia Shield logo on it, with both logos sandwiching the phrase “what would Gordon do?” While there is no actual worded confirmation from Nvidia or Valve that a Half Life 2 port is on the way for Shield owners, this package from them sums everything up in just about the least subtle way possible. In all honesty, there probably wasn’t any better way they could have alerted the public to this upcoming event. Although it may have been kind of obvious, seeing some confirmation that Half Life 2 would be making its way to Android through Shield this soon after we got a release date for Portal is kind of surprising, as we would have thought it would be a bit longer before they put out any sort of hints or announcements of any other games. It’s not Half Life 3, but i’d say this is just as good of a surprise as any. With the Nvidia Shield coming down in price, and one major game title just about here with another presumably on the way, it seems there has never been a better time to think about grabbing an Nvidia Shield. The post This Less Than Subtle Hint Points To Upcoming Half Life 2 For The Nvidia Shield appeared first on AndroidHeadlines.com |.